Can't get tired of playing this game! So addicting! It is one of those games that when you do complete it you still go back and play your favorite levels just because you don't want to quit! I can't wait until they come out with a sequel! The graphics aren't the best but you soon forgot about that once you get involved with the challenges. Buy it! This game is great if you like Time Management Games. Very addicting! It is one you will want to replay and not just beat it and move on! I loved the flow of this game; not just any ordinary food prep game. Time was not a factor - and you had to keep track of a lot of different things to make sure you have success. My only complaint is that the game was over way too quickly - I thought the first board of 5 cities would just be the first of many, but it was the whole game. This game is really fun and has provided me with hours of entertainment. It took me many days to finish it the first time, since I found the last 2 levels particularly challenging, and needed to visit the game's forum here for some tips on how to pass them. Now that I finished the game, I am playing it over again so that I can obtain all of the achievements since I missed out on 2 of them the first time. 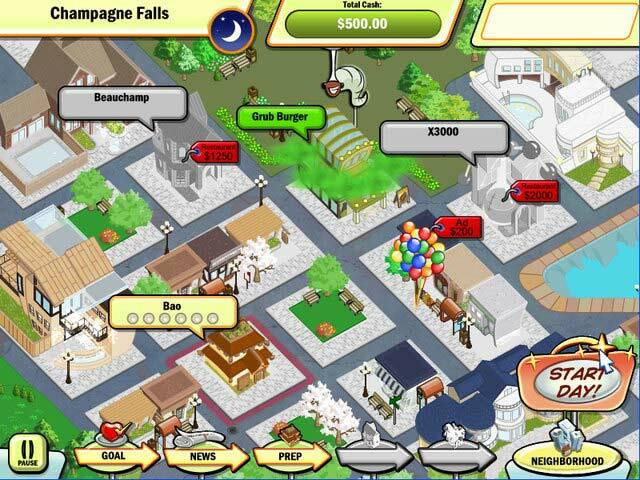 I am new to this kind of game, and I really enjoy how it allows you to be a restaurant entrepreneur. I also love Flo and the Dinertown characters and it was fun to have them in a game that is different than the Dash series. I enjoy Dash games too, but this is not one of them. It is slower moving and involves a lot of strategy. Sometimes you need a strategy to pass levels in Dash games but this is different than that. I find it to be more of a thinking game than those games, but still just as fun. I know it has been a few years but I hope they will make a sequel for this game. I would buy it in an instant! Big Fish, can you please make a sequel to this one? 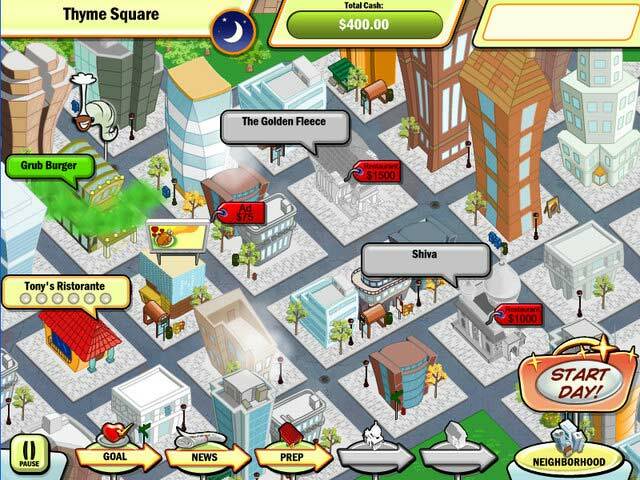 This one and Fairy Godmother Tycoon are the two best of the Tycoon type games. I LOVE Tycoon games, and you guys need more of them! Can we have a sequel please? I really enjoyed this TM game as there was much less "stress" than in the majority. If you enjoy Flo games this one is a must try. Not time based and allows you to plan your day ahead of time. I would have categorized it more as a strategy game. The only downside for me was it was too short. Would have enjoyed a few more locations. I have purchased this game eons ago and keep playing it over and over. It is super entertaining and challenging You have to get the right combination of upgrades/price/strategy to get through the day.Reminds me of Lemonade Tycoon games a little. Try it for yourself! Fantastic TM game with a twist.... a must-play, even if you never thought you'd enjoy TM (as I didn't). 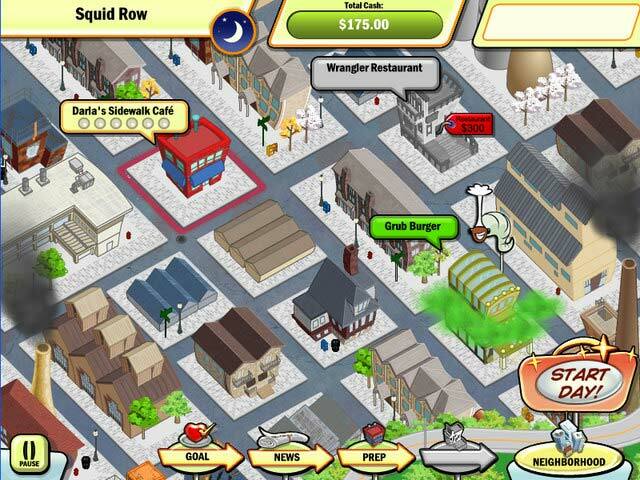 Diner Town Tycoon has tremendous replay value and lures you right into TM gameplay as if you were born playing. I now love the entire DASH series and, of course, this one is exceptional and unique as well. Thank you, BFG and devs.... the ending alluded to a sequel and my fingers are crossed to that possiblity. Will be an instant 'buy' for me when/if one is released.